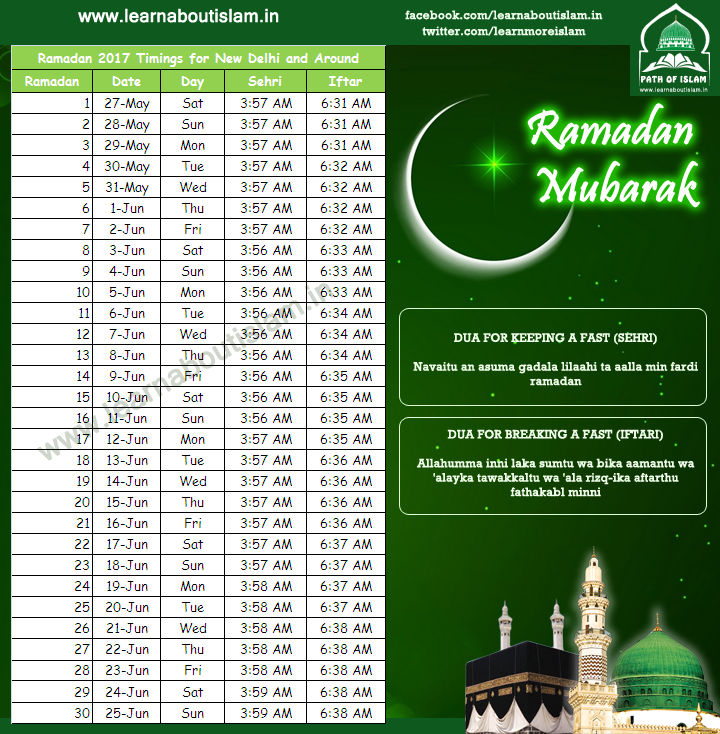 Ramzan Calendar Sehri Iftar Timing of 2017. Ramadan is a month of fasting, piety and religious devotion for Muslims around the world. 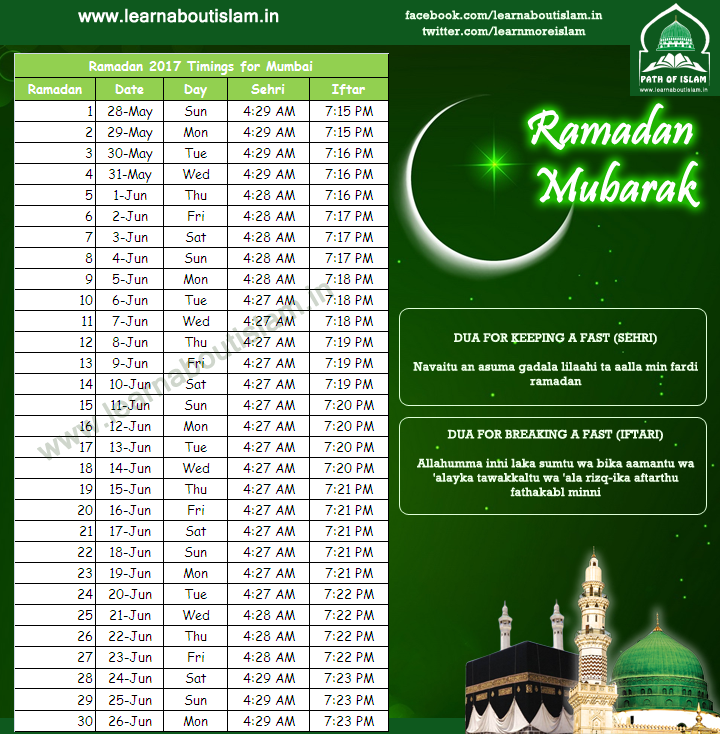 Ramadan in India will start on Saturday, the 27th, May 2017 (Taraweeh Salat from 27th May 2017 and Ist Roza from 28th May 2017) and will end after 30 days on Sunday, the 25th, June 2017. Eid ul Fitr Namaz will be celebrated on 26th June 2017.